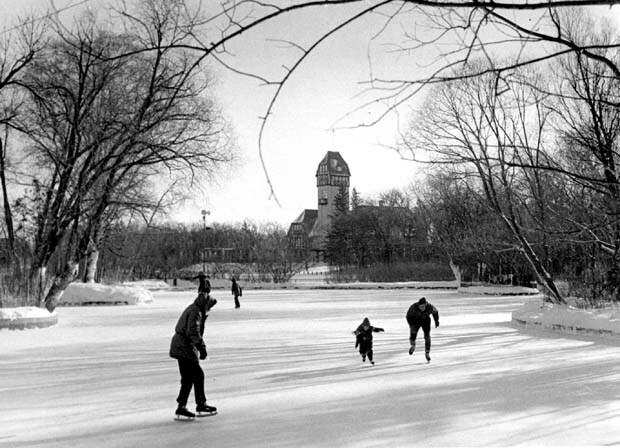 Winnipeg is known for its harsh winters but Assiniboine Park provides a beautiful escape from the winter blues. 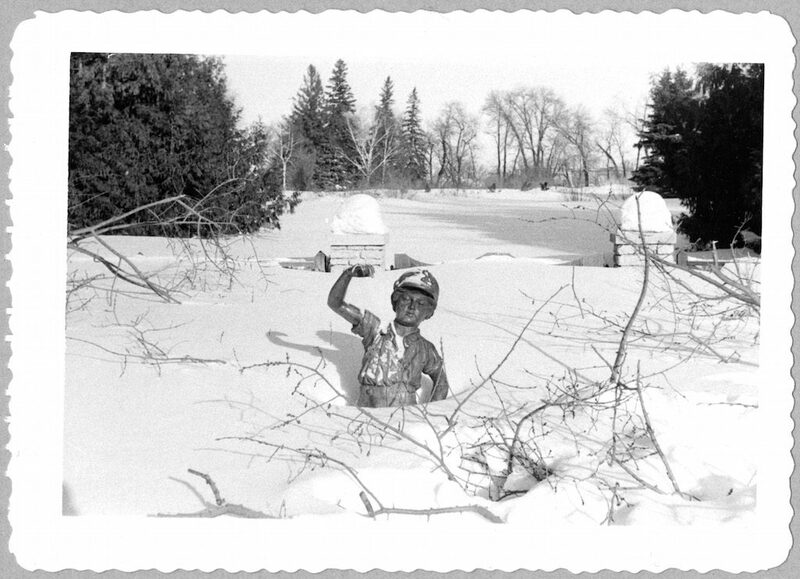 Covering 1,100 acres, the park is a popular gathering spot for Winnipeggers who prefer to embrace the frigid winters and frolic in the snow. 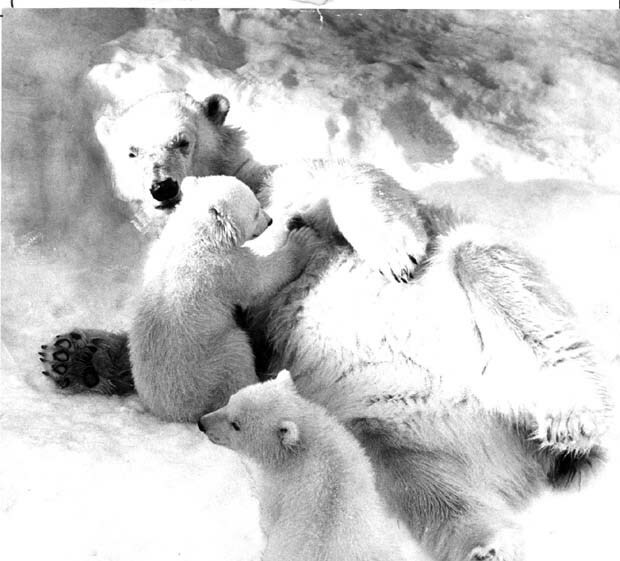 Officially opened in 1909, the park includes playgrounds, a conservatory and zoo. Check out these 12 historic photos that show how the park transforms into a winter wonderland during the cold season. Constructed in 1908, the Pavillion is one of Winnipeg’s most recognizable landmarks. 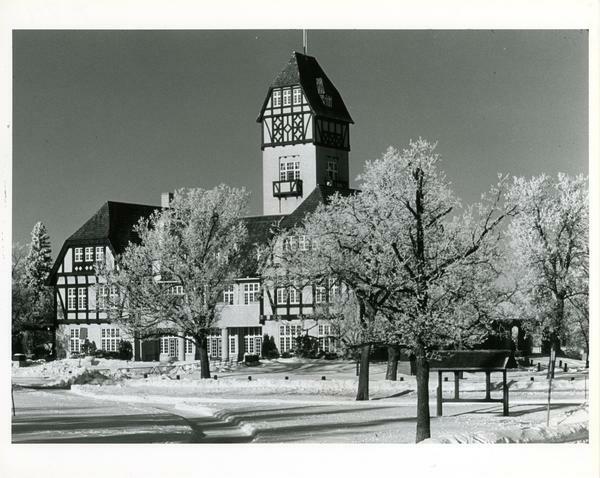 Following a fire in 1930, the original building was replaced with the current structure. 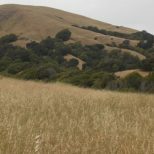 Known for its natural beauty, the park includes winding trails and open spaces to encourage physical fitness outdoors. 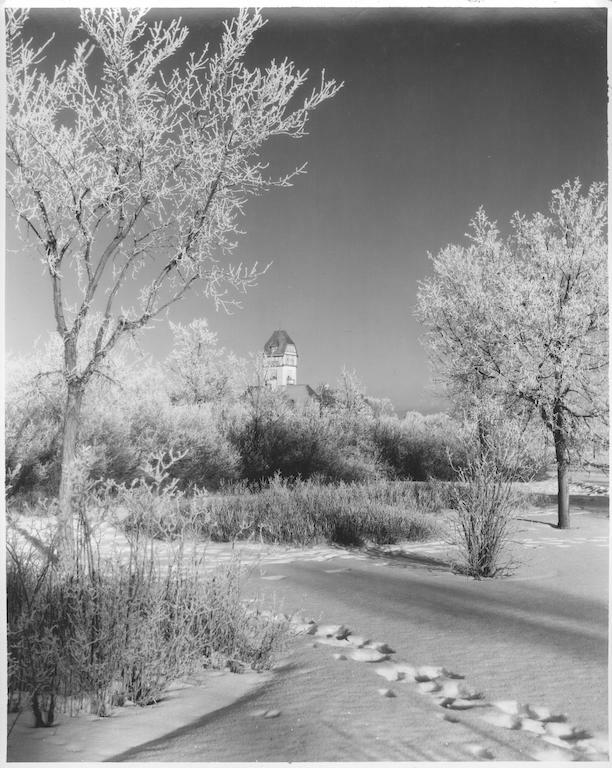 Located in the southeast corner of the park, the Formal Garden was created by Frederick Todd in 1907 as part of the original Assiniboine Park design. The Formal Garden offers a stylistic contrast to the park’s English Garden with geometrical and sharply defined flower beds. 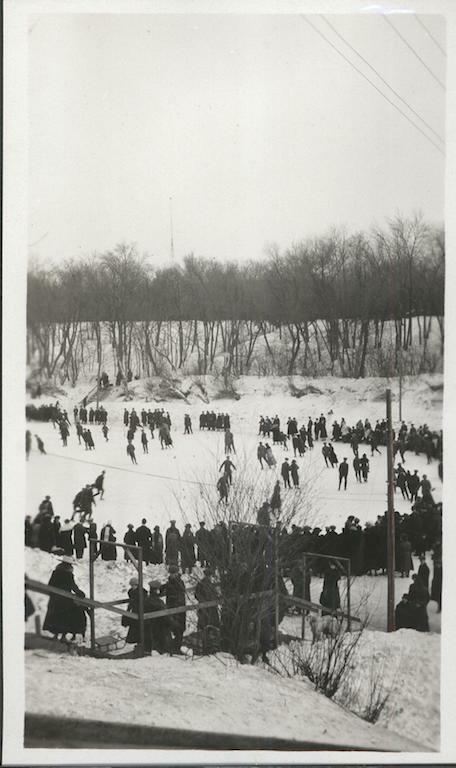 The park is located along the Assiniboine River, which provided a sheet of ice in the winter for people to enjoy outdoor activities. 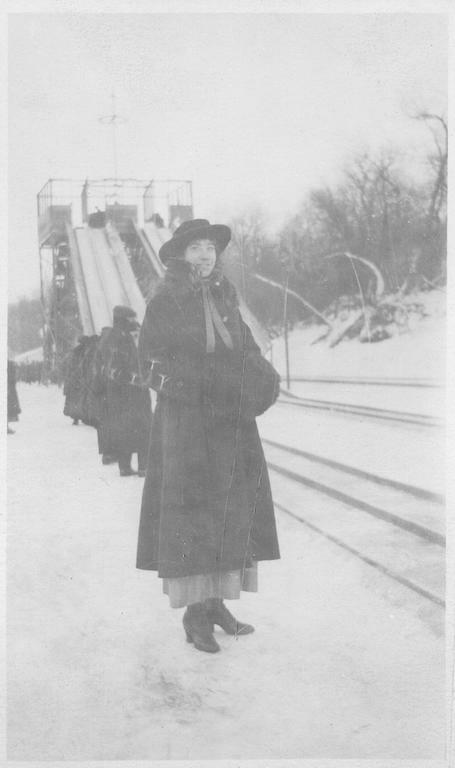 In this photo, a woman named Maude posed for a photo in front of a toboggan slide. 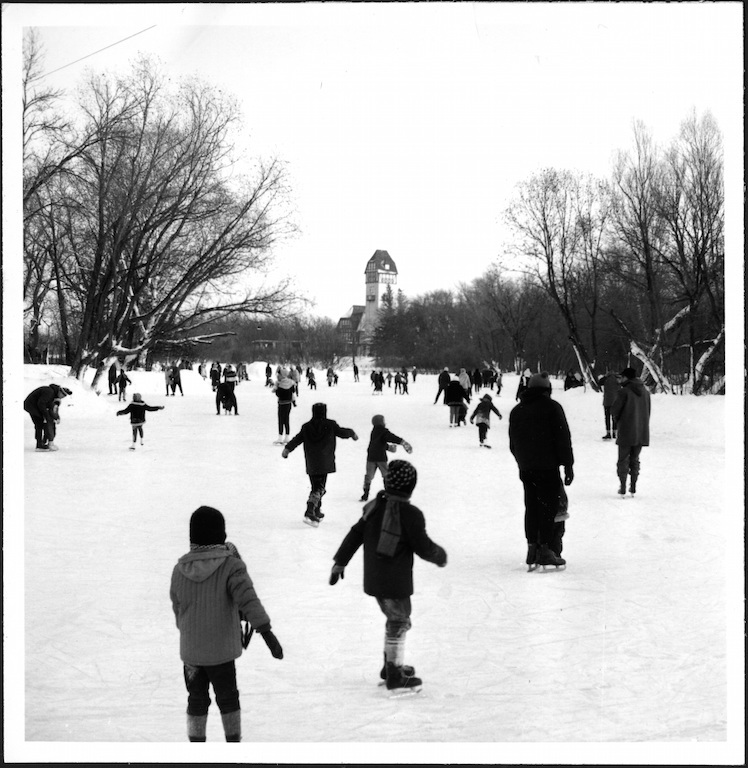 During the winter season, many Winnipeggers flocked to the park’s Duck Pond to leisurely skate amidst the natural beauty. 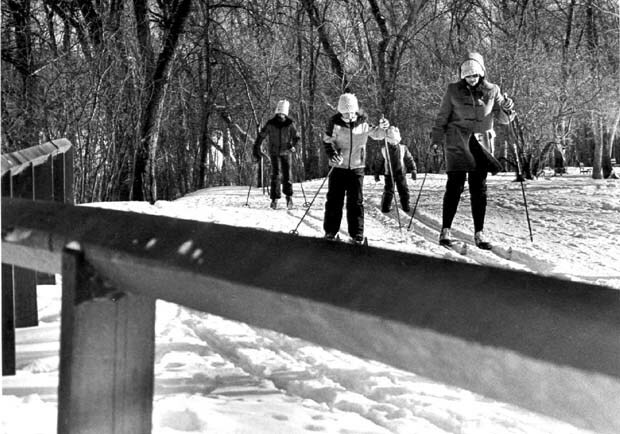 A family goes skiing at one of the park’s trails operated by the Assiniboine Park Conservancy. 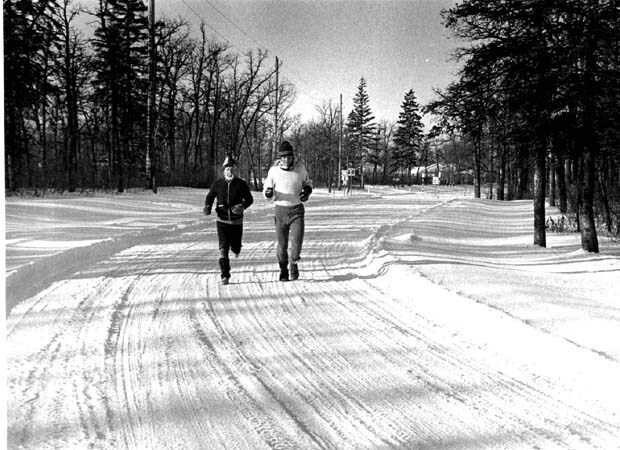 Even though the walking trails are packed with snow, it’s not stopping these two from getting a run in. The Conservatory is a botanical garden featuring more than 8,000 flowers, plants and trees. 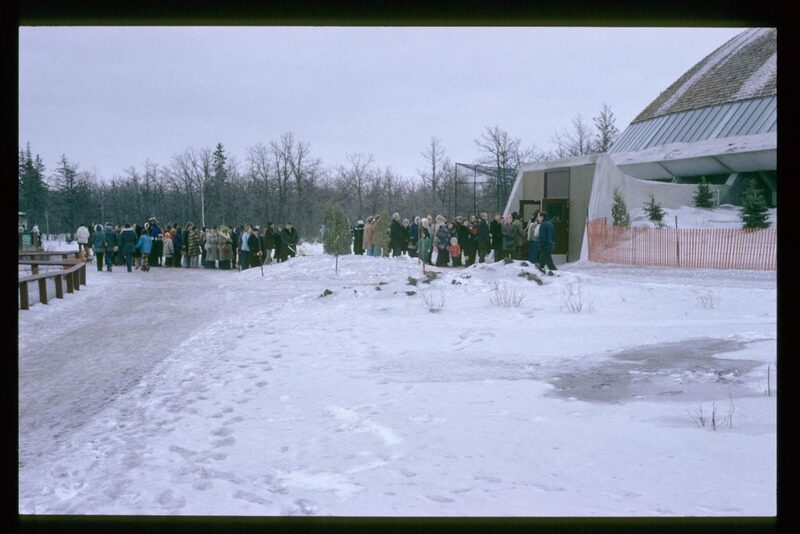 It’s one of the park’s major indoor attractions and features a Palm House that was originally constructed in 1914. 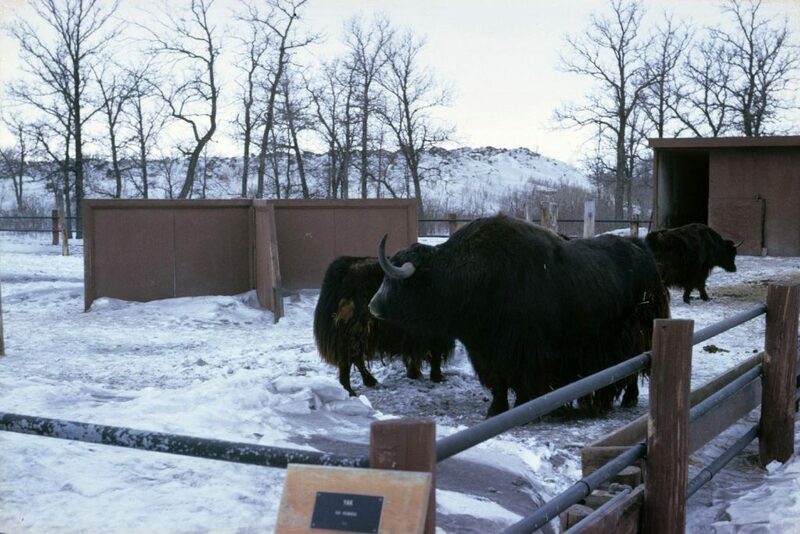 Located at the western end of the park, the zoo is a popular attraction for Winnippegers to interact with close to 200 animal species from around the globe.